Approximately half of our rental fleet is comprised of vans. We have different lengths including 28’, 30’, 36’, 40’, 48’ and 53’ units. We also have a mix of tandem and tridem configurations equipped with barn doors or roll ups. 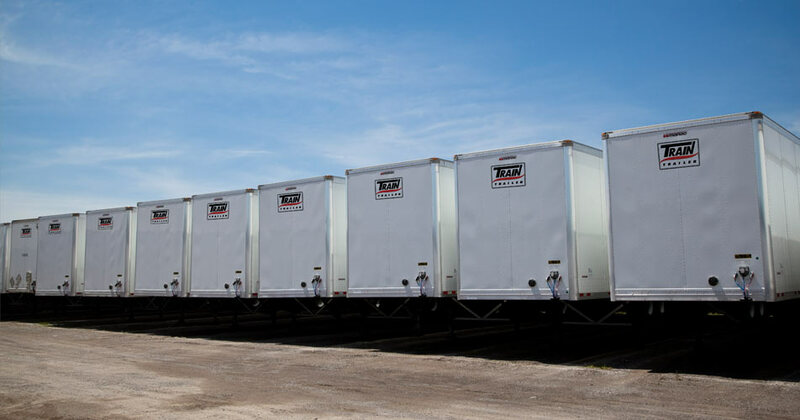 For your “protect from freezing” requirements (during our winter months), we offer the same great variety of trailer lengths equipped with heater units. © 2019 Copyright Train Trailer. All rights reserved.